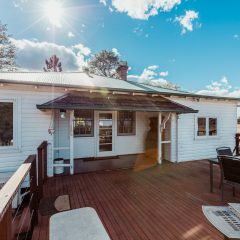 Trinity Lodge is spectacular; it has been home for many of Mowbray Park’s manager’s these past 80 years, refurbished in 2007. 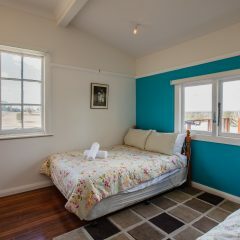 This is the first time Trinity Lodge has been available for guests. 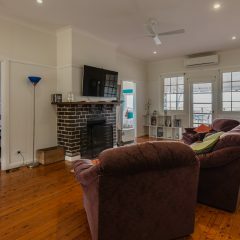 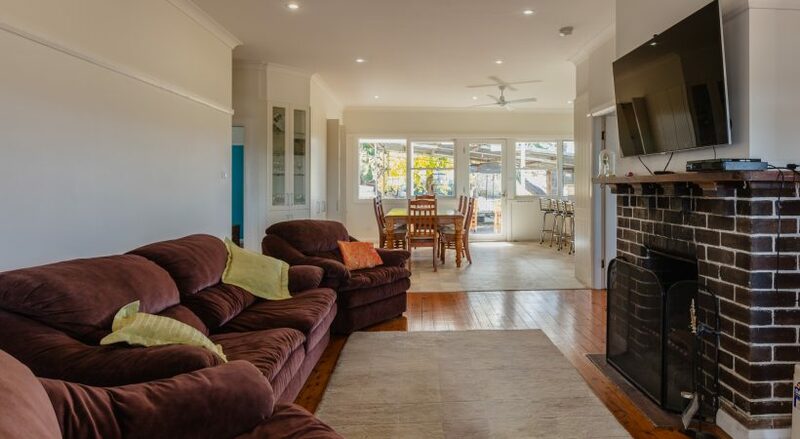 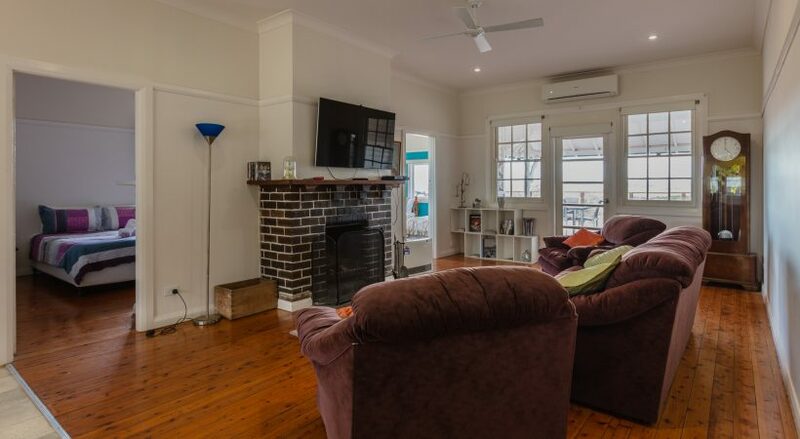 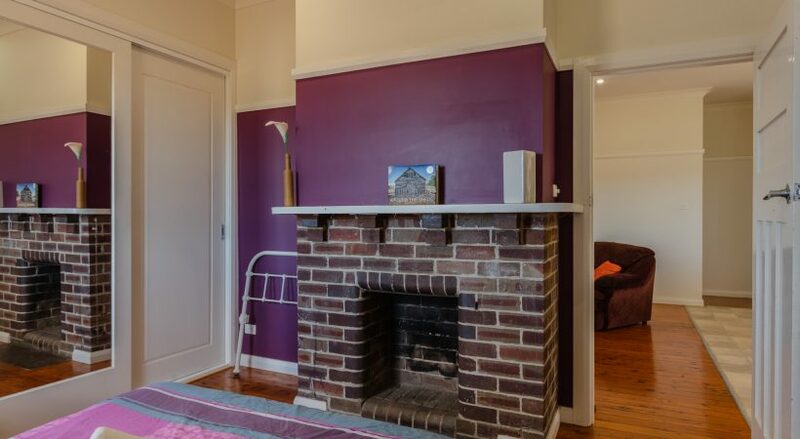 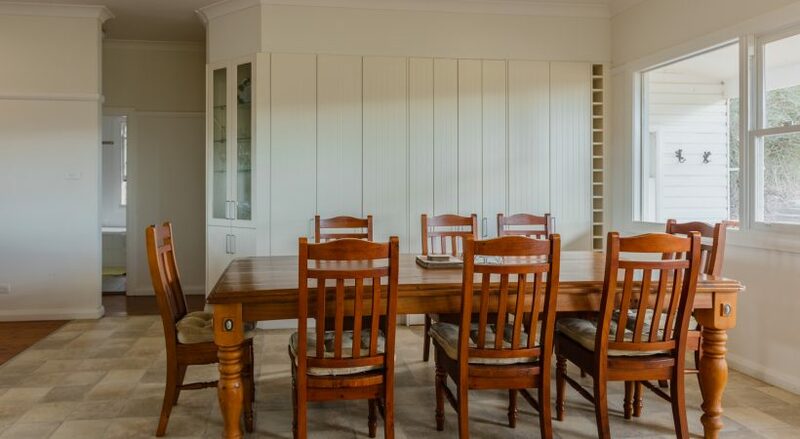 This spacious 4 bedroom house has verandah front and rear, a modern kitchen, two bathrooms, dining room seating for 8 guests, an open fire in the lounge and flat screen on the wall for when you want to chill. 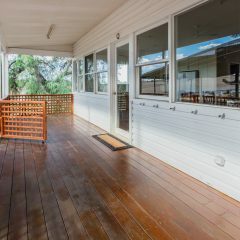 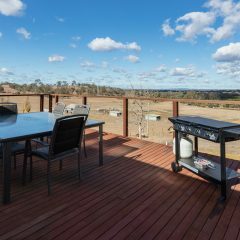 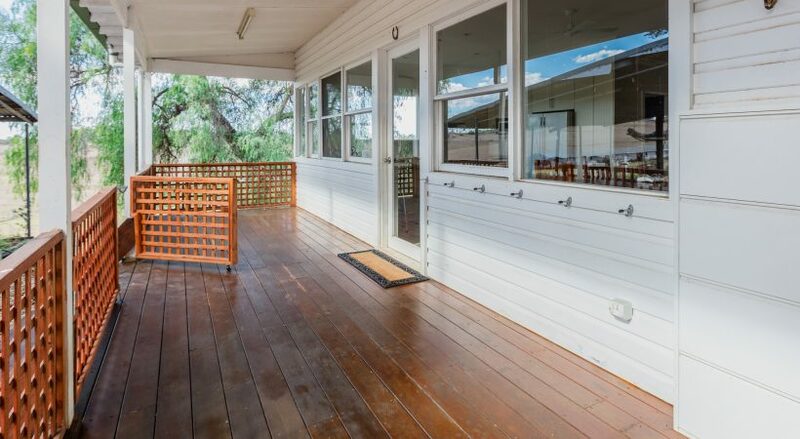 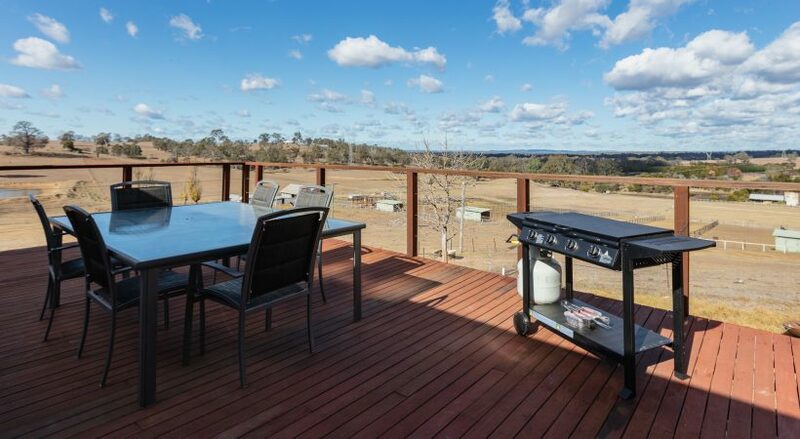 A BBQ out on the verandah is ideal for those evening meals (or breakfast, or lunch). 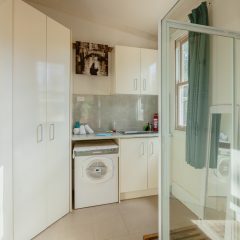 As with our other self cater lodges its BYO linen. 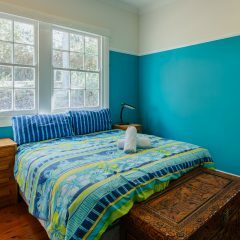 If you would like us to provide linen there is a charge of $10 per person. 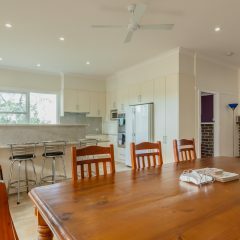 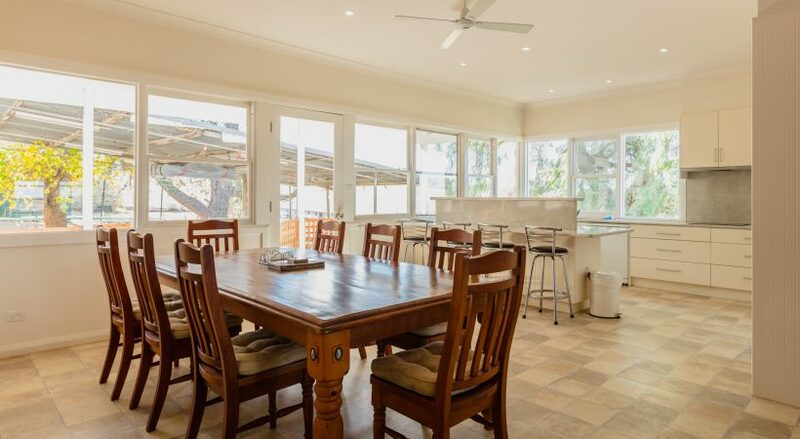 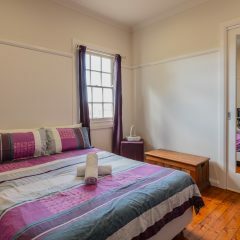 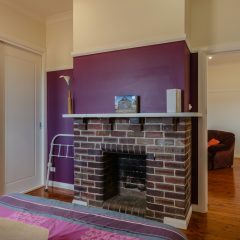 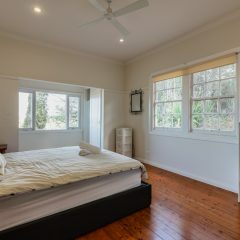 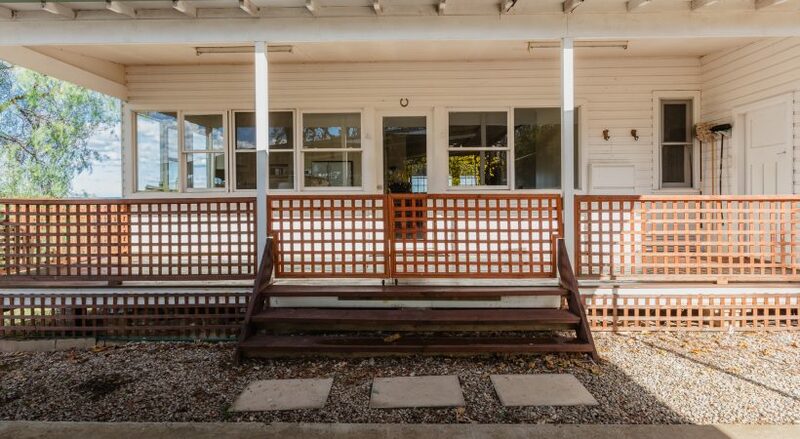 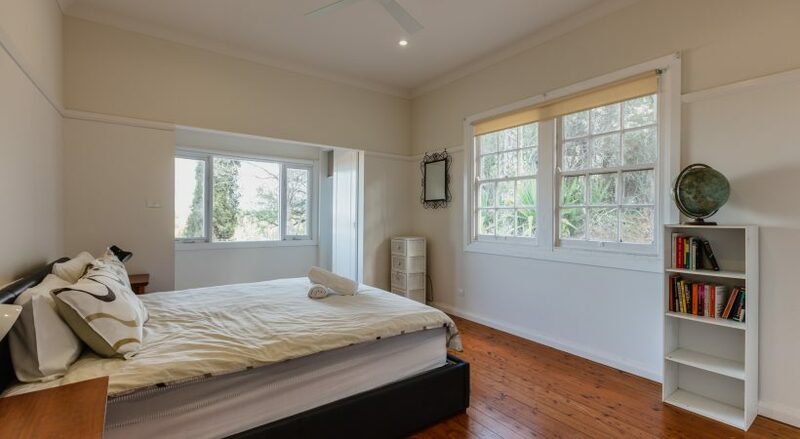 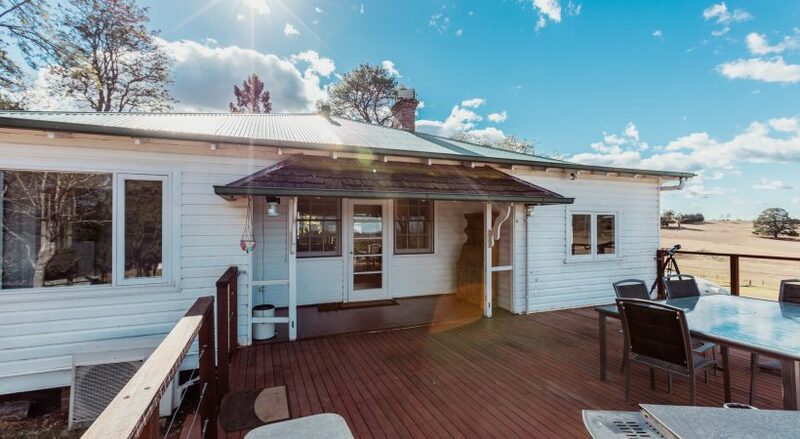 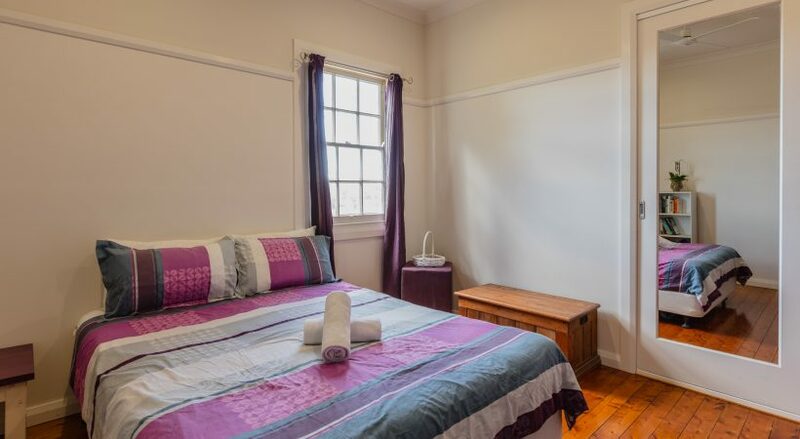 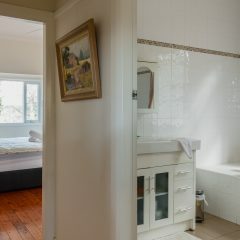 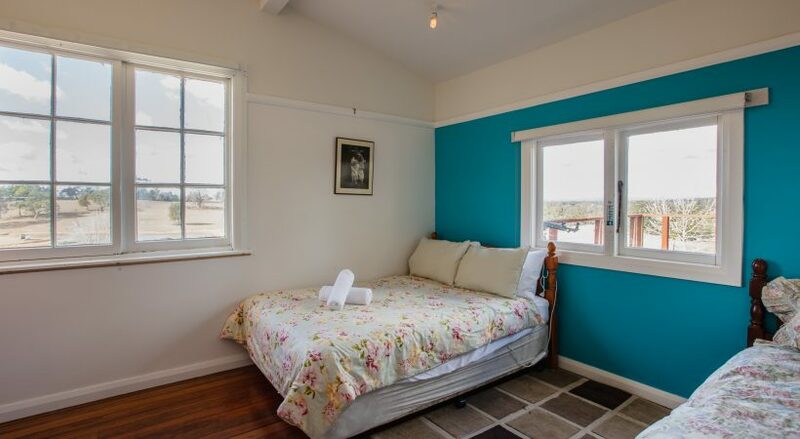 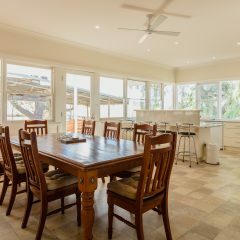 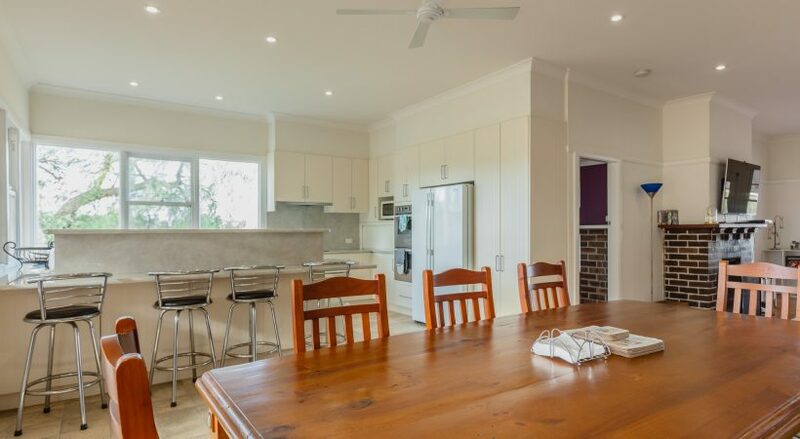 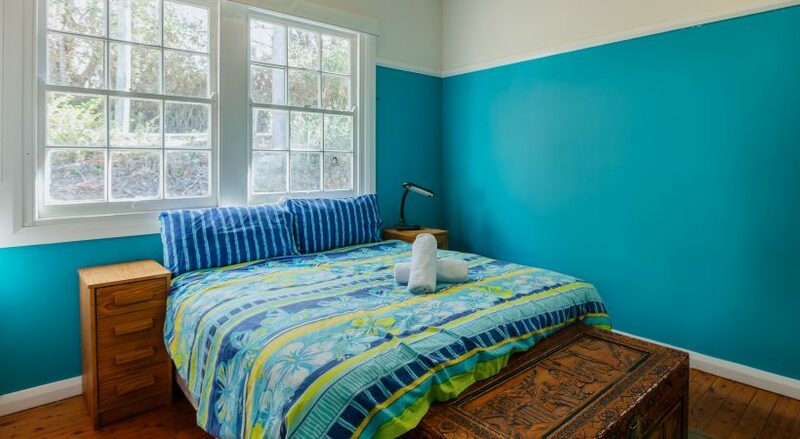 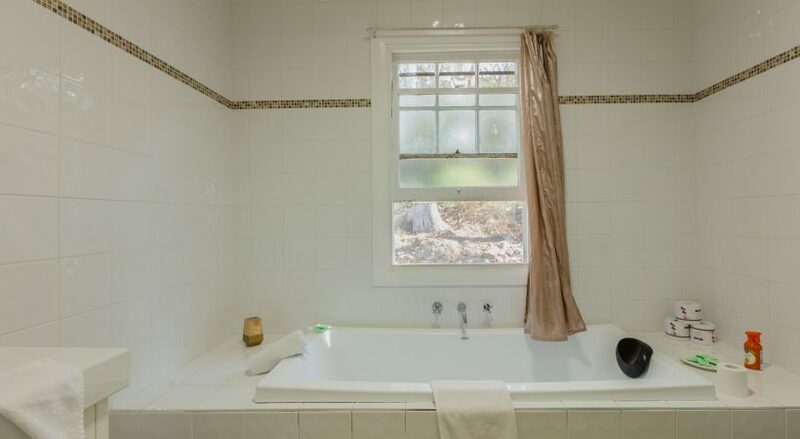 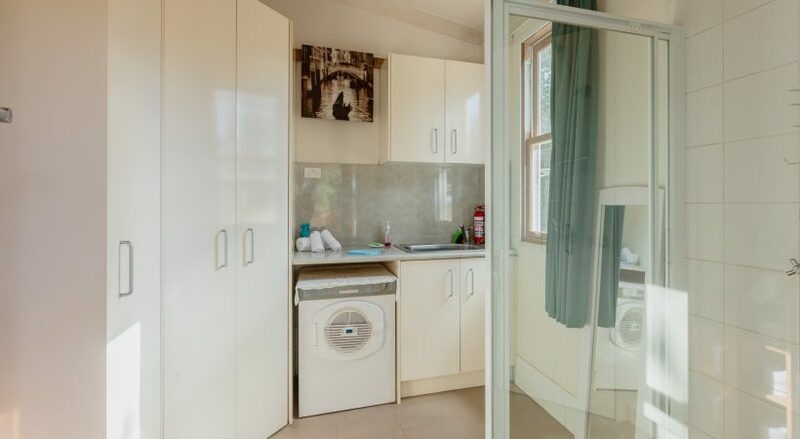 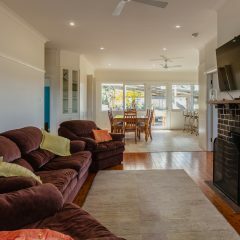 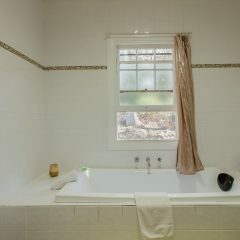 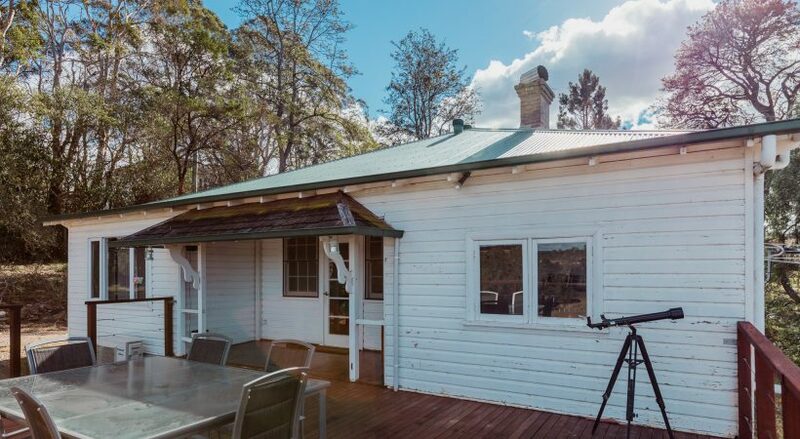 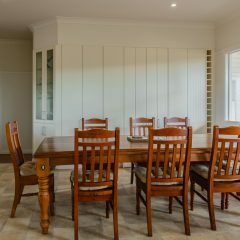 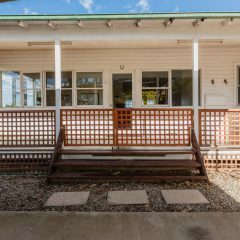 For food and other amenities the farm is just 9km from IGA and Coles supermarkets in Picton. 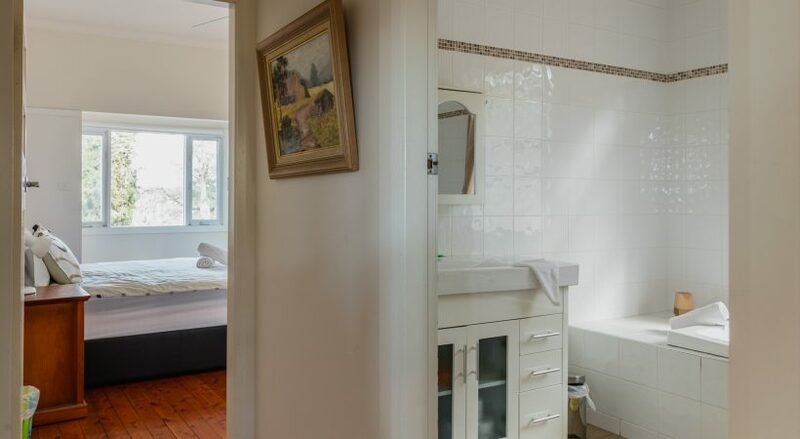 The cost per night is inclusive of the Daily Farm Activities and also includes access to a heap of self supervised things to do such as archery, canoeing, fishing, push bike riding (BYO), tennis and swimming. 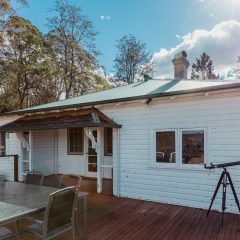 Minimum numbers (8) apply for this lodge so get a couple of families together settle in and enjoy the family fun on Mowbray Park Farm.